A feeling or a sense of home can be created by the smallest and sometimes strangest elements. Either a smell, an object, lighting, positioning or a good old feeling can make one be at ease. In that way all elements count and contribute towards that warm happy coziness. AcvkArt therefore is a concept that brings humor, love and thought together. Beginning with fast food products and trending food brands I have focused on framing them one for one to give emphasis on their power. The food economy and politics for that matter play an important role in our day to day eating habits and should receive an altarpiece. AcvkArt is my startup art brand that momentarily has mass food as theme. Let’s see where this roller coaster will take me! 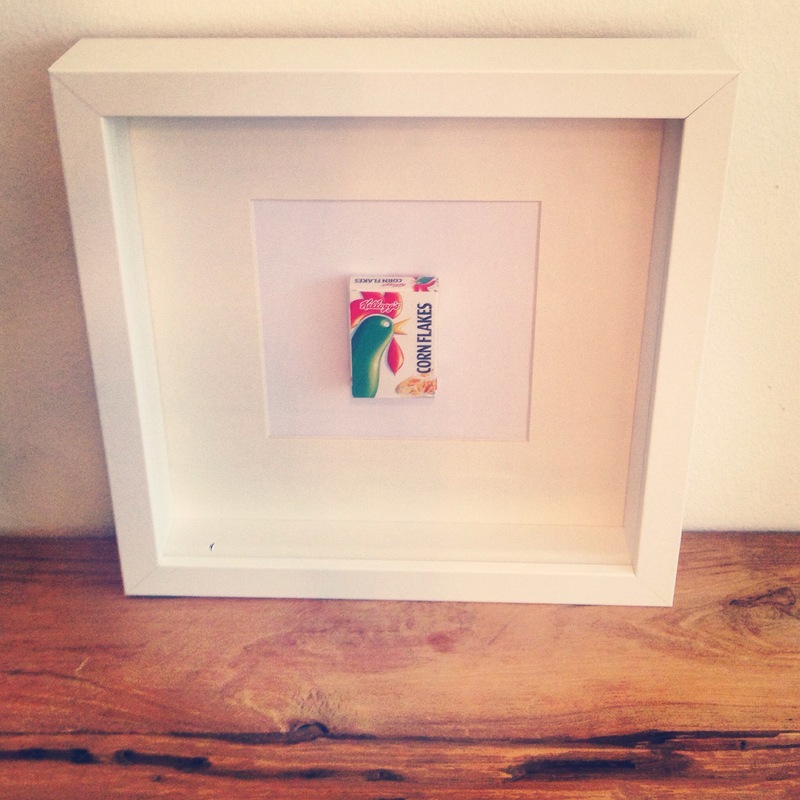 To stay on the topic of introduction to AcvkArt: I bring to you Mr. Lil’ Nutella Jar framed and cornered on my shelf. Together with Mr. Cockadoedeldoe Corn Flakes, they start up my day and twist the heads of people that visit. “Ahh that’s so cute” and “how cool they’re so small yet so real” are reactions that I love getting. To tell you the truth.. there’s more where that came from. 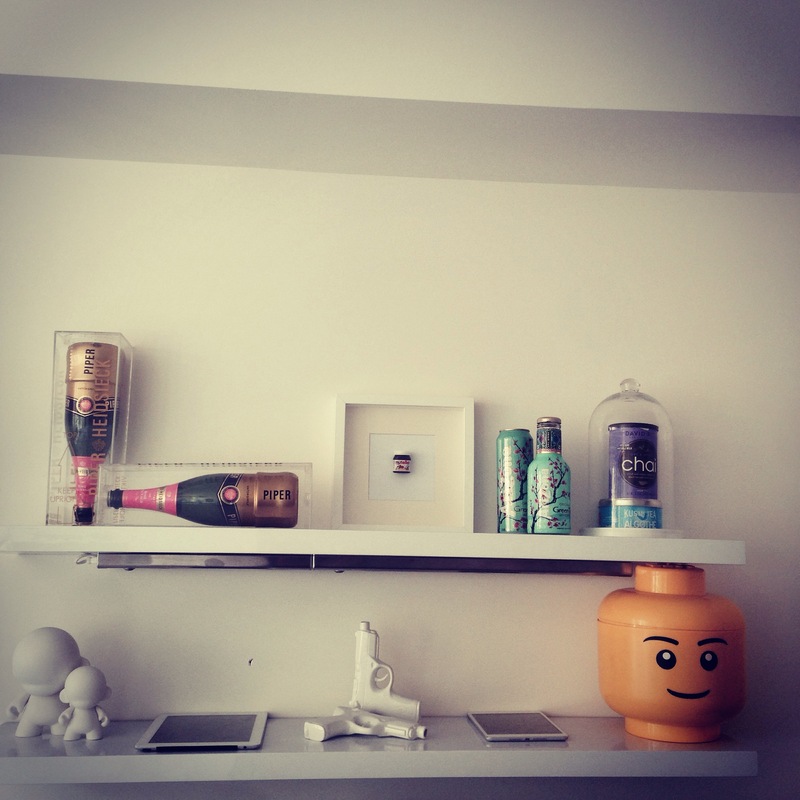 These small items bring joy to my life in combination with a little surrealistic “shazang”. To find out more about these guys and go to the AcvkArt blog or visit the Etsy shop. Hope to see you there! Photos: all taken by Me, Myself and I. 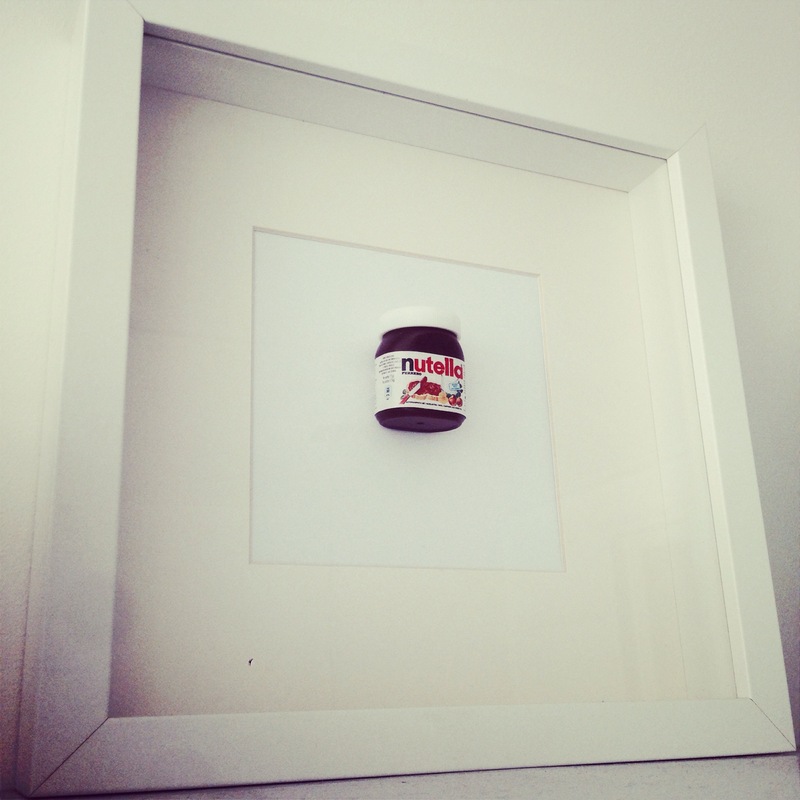 Items For Sale: Mr. Lil’ Nutella Jar Frame (For prices please contact me).